Originally designed and built by James Gandon, O’Connell Bridge was built in 1794-98 and named after the then Viceroy – Lord Carlisle. The original bridge had a slight hump and was much narrower than Sackville Street. 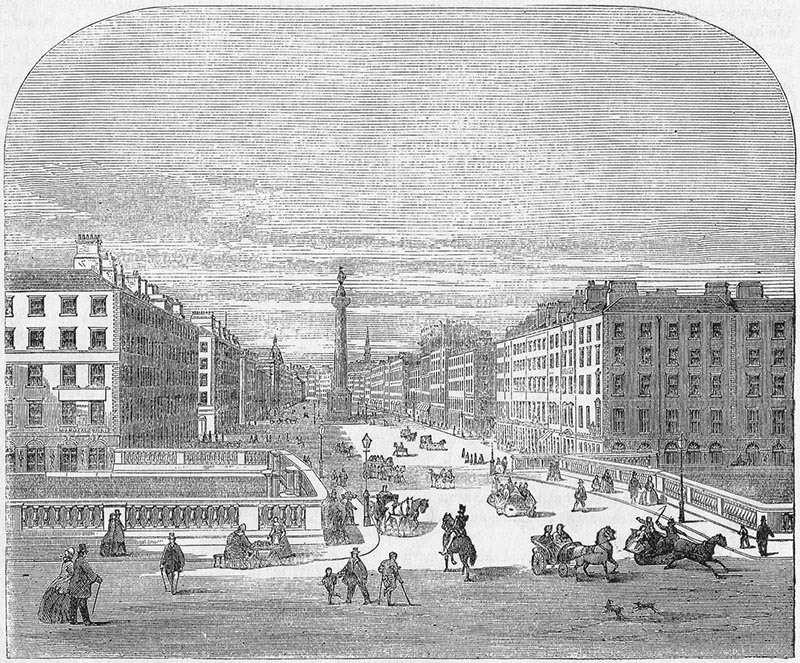 Gandon also designed obelisks and plinths for the four corners. In 1880 it was widened and the hump removed to designs by Bindon B. Stoney. 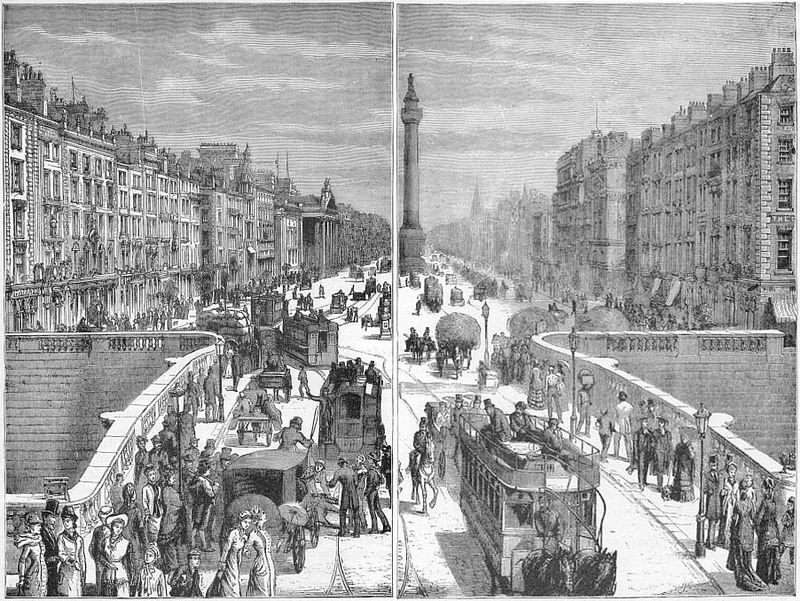 In 1882 it was renamed O’Connell Bridge.